Unzip the small-vm archive. 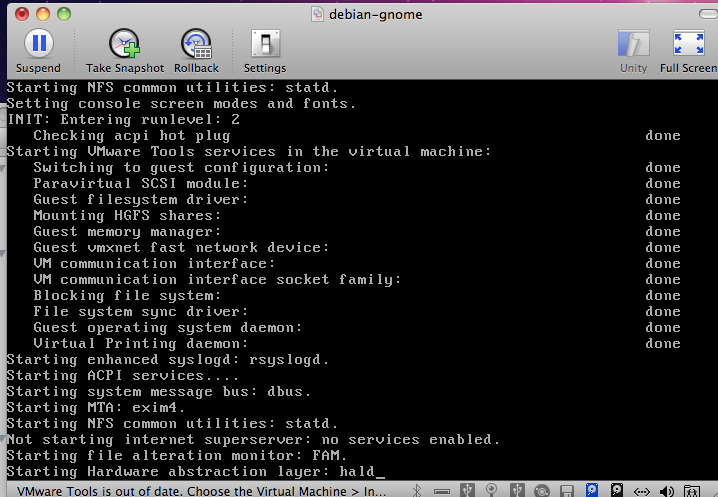 In this exposition the name of the archive of the small-vm is debian-gnome. This name may be different in the distribution downloaded. For example, lenny-ox or etch-ox will be used. Replace all debian-gnome with, for example, lenny-ox or etch-ox in the sequel. 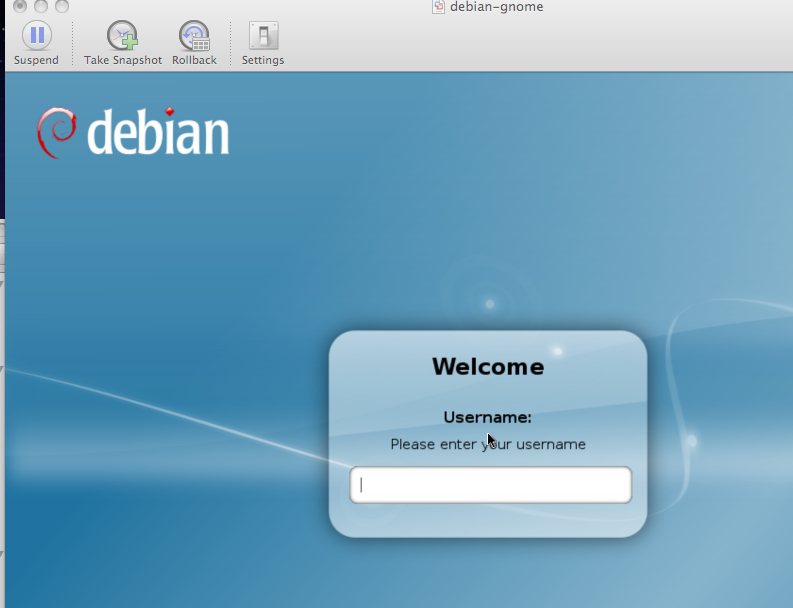 Open the folder "debian-gnome" and double click "debian-gnome.vmx". This is a picture of starting debian gnulinux. If you get this login window, login with the login name "math" and the password "math". The root password is "math". If you do not see this page, the system is preset to the automatic login mode, which can be changed by the menu "system, administration, login window, security". When you want to suspend the virtual machine, click the "x" or click the suspend button. 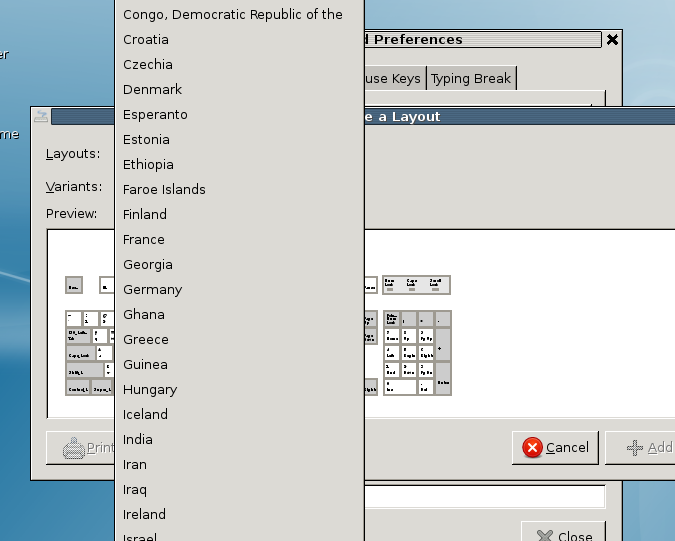 The default keyboard layout is the US keyboard. 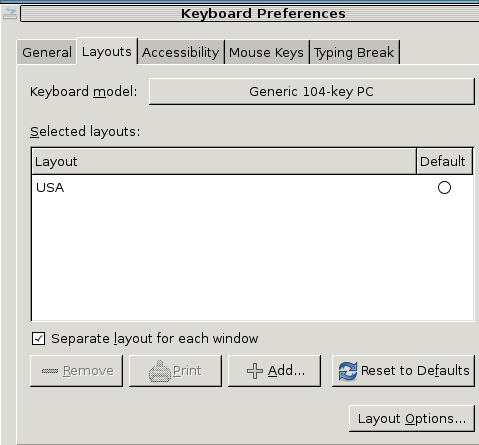 If your keyboard is not the us keyboard, you need to set the keyboard layout as follows. 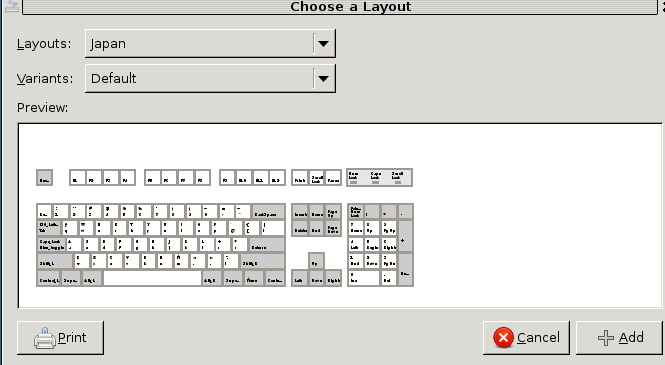 Choose your keyboard layout from the "Layouts" menu. Drag the "USA" below the new keyboard layout, which is Japan in this example. The top keyboard layout will be used. Click the "close" button. 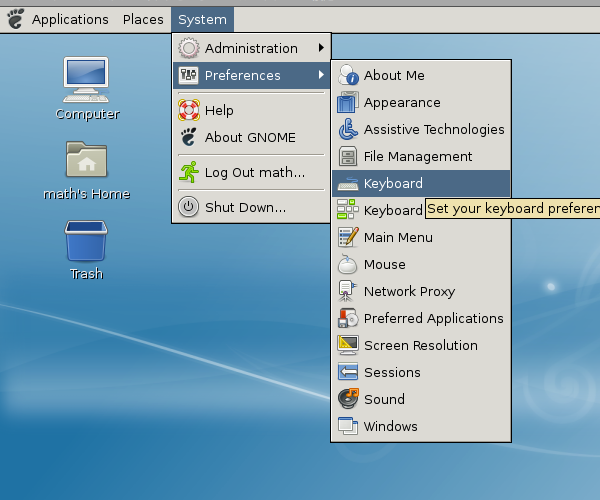 Note : If you reboot the system, the xorg xserver will change the keyboard model and the layout to the default. If you frequently reboot the system, please rewrite the file /etc/X11/xorg.conf by following this instruction. 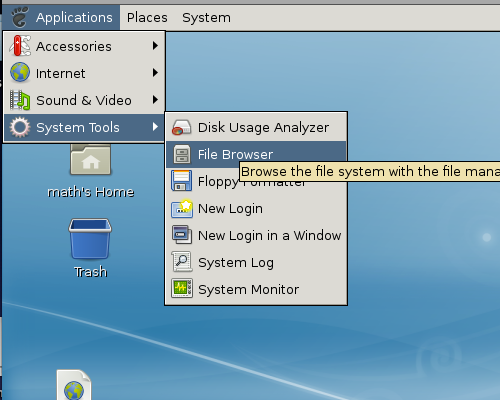 In order to exchange files between the guest operating system and the host system, it is convinient to use the shared folder. 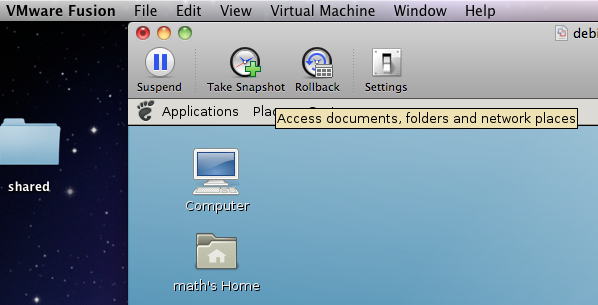 The following example is that of VMware fusion on Mac OS X, which is the host system. 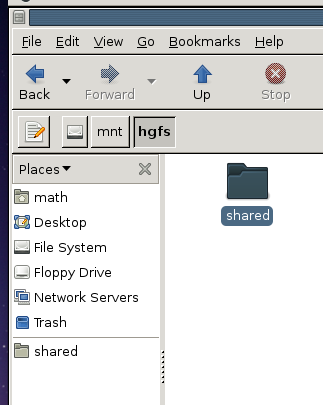 In this example, the folder "shared" of the host operating system can be accessed as the directory /mnt/hgfs/shared. Click the "Settings" (in the host system). Click the "Sharing" (in the host system). 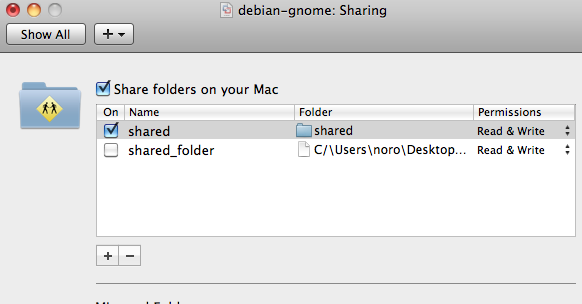 Create a new folder "shared" on the desktop of the host system. Click "+" to add a new shared folder. 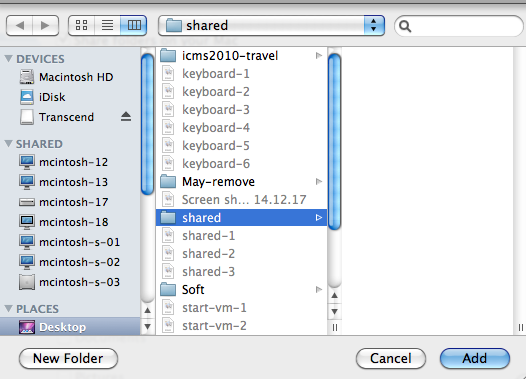 Choose the folder "shared" in the desktop. 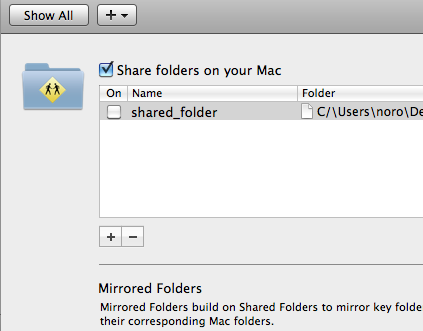 Confirm that the folder "shared" is checked. Open the file brower of the guest operating system. 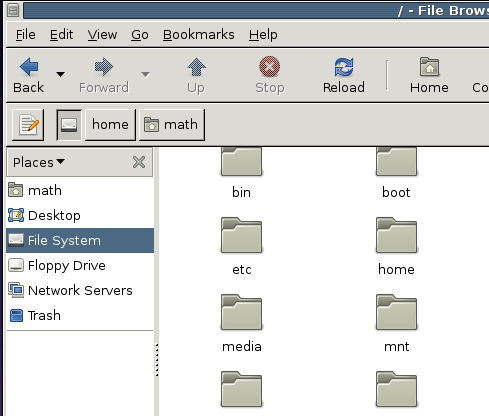 Open the file system, the "mnt" folder, and the "hgfs" folder. 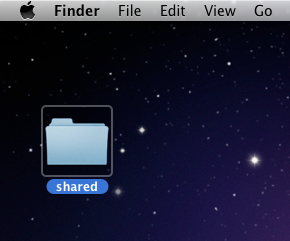 Drag and drop the folder "shared" to the "Places". Then, you can quickly access to the shared folder from the file browser. 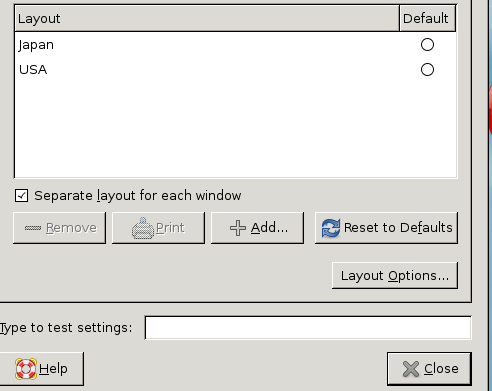 Changing the default keyboard model and the layout. Save the file xorg.conf and reboot the system. "jp106" and "jp" are defined in base.xml with the element tag <name>. If you have a Japanese 106 keyboard, "XkbModel" should be set to "jp106" and "XkbLayout" should be set to "jp".